Vice President & General Manager, AOL-Black Voices & Lifestyles Programming, Dulles, Va. Ask Janet Roll? what she is most passionate about, and she?ll tell you her family and friends, her work and tennis. ?My parents instilled in me a love of learning, respect for achievement and the confidence to pursue my dreams?and my grandmother keeps me close to my roots and community. [She] thinks of me as her American dream come true,? Roll? says. What sets this otherwise ordinary woman apart, however, is her role as vice president and general manager at AOL Black Voices, one of the leading online destinations for African-Americans at the world?s top interactive services company. Roll? is responsible for developing the Black Voices service across all AOL platforms and products. She also leads the day-to-day programming activities and sets the editorial tone and direction for the African-American category. In addition, she was recently appointed vice president and general manager of AOL?s Women?s & Lifestyle Programming. A native New Yorker, Roll? ?s career is steeped in the media industry. Prior to joining AOL, she was vice president of programming enterprises and business development at VH1 and Country Music Television Inc. in the Viacom at MTV Networks. There, she developed business opportunities and strategic marketing partnerships for all VH1 and CMT programming, franchises and brands. Before that, she held leadership positions in marketing, sales and promotions at Home Box Office Inc.?s Home Video unit. Roll?, in fact, began her career as special assistant to the chairman at HBO. Roll? has a master?s degree in business administration with a dual concentration in marketing and film from Columbia, and is a recipient of the Harlem YMCA?s ?Black Achievers in Industry? award. She is motivated by the words of the Lebanese poet, philosopher and artist Kahlil Gibran, ?Progress lies not in enhancing what is, but in advancing toward what will be.? Roll? 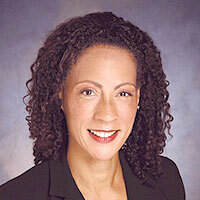 chairs the Multicultural Participation Committee of the U.S. Tennis Association, is a member of the board of advisors of City At Peace New York and is a mentor in the Harlem YMCA Mentoring Program.